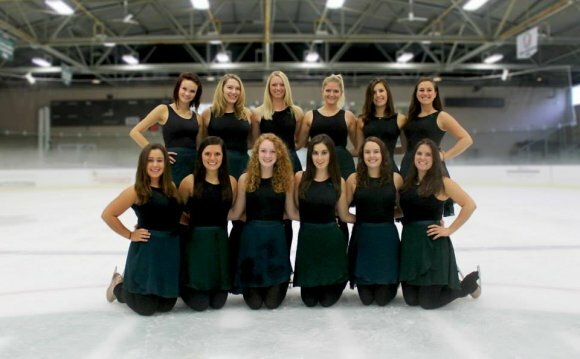 The mission of Team Excel is to promote synchronized skating and prepare synchronized skating teams for national and international competition, encourage teamwork and sportsmanship, and support individual skaters as they seek to attain their unique potential, and teams as they seek to achieve their full potential as a team. Team Excel promotes a value-driven approach to sports competition. We are driven by the value of the development of youth as strong and competent individuals, the value of teamwork, and the value of volunteer participation. We understand competitive skating within the context of the development of strong and competent individuals. Serving youth to young adults, we see competitive skating as a contribution to the development of healthy individuals. Being a member of a team is an important life experience, important for the positive development of children. Synchronized skating offers a unique team experience. During a performance, each member is expected to do exactly the same thing, at the same skill level, at the same time, to the beat of the same drum. Learning to be a member of a team, learning about interdependence and making a contribution to the performance of a team is an important part of positive development. The interdependence of the members of a team requires a commitment and a continuing contribution from each skater. Members of a synchronized skating team are expected to develop and improve their individual skating skills, take lessons and test in moves in the field, dance and freestyle. Each member is expected to work toward the goals of the team regardless of their role on the team. Parents serve an important role as members of their children’s skating team – not to skate or to coach the team, but to support their children as they experience and learn about being a member of a team. Parental support also includes working behind the scenes on behalf of the team. In order for the coaches and skaters to do their work, parents are often asked to make travel arrangements, meet clothing needs, fill out applications for competitions and work on publicity, fundraising and governance issues.